Northwestern Mutual poll finds 66% of individuals lack a financial plan, though many recognize its value. Adults 60 and older are three times as likely as those ages 18 to 29 to use an advisor, Northwestern Mutual says. Americans say their financial health is a top priority, yet only a minority work with a financial advisor or have a financial plan, a recent poll funded by Northwestern Mutual finds. Plus, some 60% say their financial planning needs improvement. Despite these responses, 66% of those surveyed do not have a financial plan in place. Of the 31% of adults that say they have financial plans, slightly more than half developed such plans with a financial advisor. 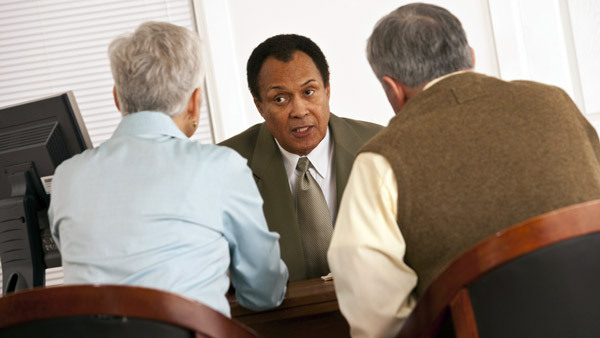 Furthermore, only three out of every 10 adults is working with a financial advisor, the survey says. “People recognize the need for improvement, yet most are choosing to make important financial decisions entirely on their own,” said Greg Oberland, president of Northwestern Mutual in a statement about the group’s 2014 Planning and Progress Study. Adults who are 60 and older are three times as likely as those ages 18 to 29 to use an advisor: 41% versus 13%, the poll shows. In addition, individuals with $100,000 or more of investable assets are three times more likely to be working with an advisor than others. According to the study, a large majority of American adults, 70%, think the U.S. economy will experience future crises, and that a financial plan can help them weather the ups and downs, 52%. Only two in five, though, believe their financial plans can withstand market cycles. “Remember that financial planning is not a ‘set-it-and-forget-it’ exercise, and while it’s encouraging that many Americans are engaged on a regular basis, I’m hopeful those numbers will increase as more people see the benefits of a disciplined approach to long-term planning,” Oberland added.